Laurence Elwood and Doris Ward Elmer: Laurence came to Highland in 1939 as a teenager with his parents William and Sarah (q.v.) and remained for many years. He was born September 15, 1923, in Marriott, Utah. His family was in Slaterville for the 1930 census. He served in the Army from February 12, 1943, until December 15, 1945, serving sixteen months overseas and receiving a Purple Heart. He married Doris Ward November 9, 1943, in Ogden. She was born May 12, 1926, in Brigham City, Utah to John R. and Lily Grace Beach Ward. They had twelve children: Wynnell Poindexter, Elizabeth Ann, Laurence Elwood Jr., Bryan, Vickie, Chris, Mark, Carl, Trina, Mary Ellen, Tammy and Frank. After his father was tragically killed in a farm accident in 1947 Laurence left Highland for a time. When they moved back they lived in #49. He and Doris were divorced in September, 1973, and he married Carol Louise Green August 11, 1974. He died January 23, 1990, in Salt Lake City. Carol died March 1, 2001. On November 9, 2004, he and Doris were sealed in the Bountiful LDS Temple. Doris died September 28, 2012. Leslie and Gai Fern Mangum Elmer: Les was born October 1, 1932, in Ogden to William Jorgen and Sarah Elizabeth Rawson Elmer (q.v.) the sixth of eight children and moved to Highland when he was six. Gai was born May 16, 1935, in Orem, UT to James Leroy and Golda Elmina Elder Mangum. She was very tiny at birth but grew up fast and was seldom sick. She was schooled at Sharon Elementary in Orem, Union School in Vineyard, Lincoln High School in Orem and American Fork High School, which she attended for one year after her marriage. They were married November 17, 1950, when he was eighteen and she was fifteen. Few people gave their marriage a chance. Les went into the Army November 1, 1952, and spent some time in Korea during which time their first child, Cindy, was born. He also received his high school diploma from American Fork High while in the service. 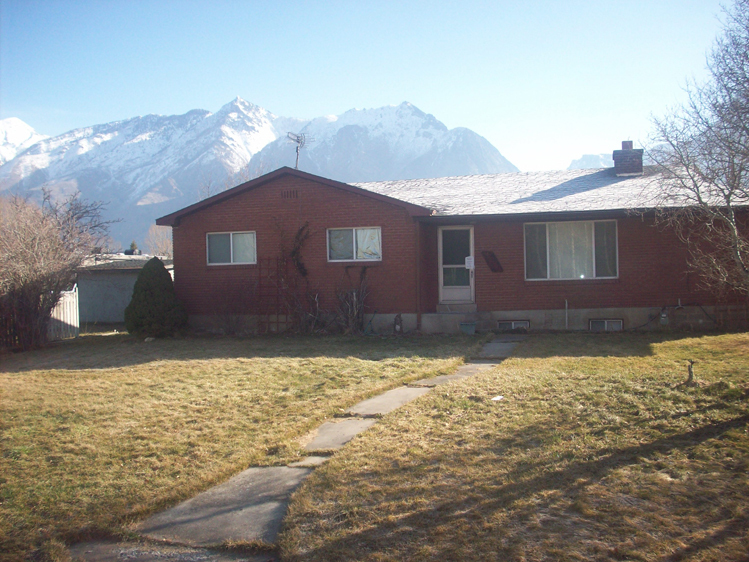 Upon his return from the service they built their home in Highland (#47 on the 1958 Highland map - interactive, larger - 11200 Alpine Hwy) and added three more children to their family Linda, Ronald and Darryl. They passed from this life within a few months of each other-she on July 1 and he on September 26, 2015. - 5180 W 11200 N). They had eight children, one dying in infancy: William, Laurence, Clyde, Elden, Sarah, Leslie, Arthur and Jack. William was born August 9, 1898, in Marriott, Utah to Levi J and Irene Louise Peterson Elmer and Sarah was born April 12, 1899, in Ammon Idaho to James Daniel and Sarah Elizabeth Crane Rawson, the oldest of twelve children. Sarah was very talented and has been a teacher all her life, including teaching school and in the auxiliary organizations of the LDS church. They were married December 23, 1920, in the Salt Lake Temple and lived in Ogden, Slaterville and Marriot and William worked for the Weber County Sugar Factory. 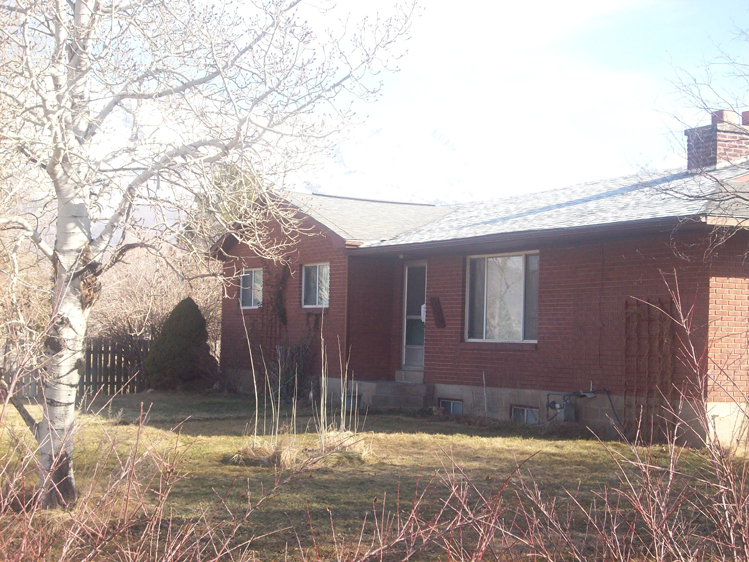 They learned of available land in Highland and moved here in 1939; their youngest child was then two years old. Tragedy struck on March 26, 1947, when William was plowing the field where the gas station/convenience store and Jiffy Lube now stand. He somehow fell off the tractor and was crushed by its steel wheels. Life was very difficult for Sarah after that as she tried to remain on the farm but couldn’t so her father built a home for her in East Midvale. She worked for a time at the Salt Lake Knitting Works and passed away September 30, 1980.